Yep, that’s when it all began for us. 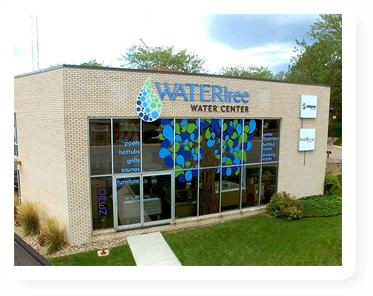 Just a little water treatment business in the middle of the United States. Back when Franklin D Roosevelt was President, milk cost 49 cents and televisions started selling for the first time in America. Skip ahead 2 decades and a young man by the name of Darrell (Robbie) Robinson traveled from Chicago, Illinois to Rapid City to run this growing water treatment business and raise his family. Fast forward another couple of decades and the growing water treatment business was now booming with sales of swimming pool equipment and construction. Soon after with the popularity of hot tubs Robbie started the Pool and Spa Center. And so we were blossomed from a water seed! Over the past few decades we have remained family-owned and operated by second and third generations. As a company we have grown and moved around town, survived the 1972 flood and have still continued to serve our customers with the same standards and customer service as when we began back over 70 years ago. From all of us at the Pool and Spa Center, we strive to take care of our customers the best way we know how and to offer the highest quality products at a reasonable price. We carry the following products because we feel that they are superior quality and are innovators in their industry backed by exceptional customer service. Giving back and supporting our community is important to us at the Pool and Spa Center. We have supported many local programs such as Children’s Miracle Network, Toys for Tots, local softball teams and other local charities. We are also involved in local organizations as well as national organizations.